Although we are never ready to experience a major storm, we must all be prepared. Please review your insurance policies and contact us if you have any questions or need to make any changes. We ask that you do this as soon as possible. When there is a named storm within specified coordinates, insurance companies will not write new nor increase current property coverage in certain areas. Hurricanes Ike and Harvey taught us many lessons. Most importantly that both windstorm and flood insurance are needed by everyone in our area and all residents and business owners should have a current inventory of their contents. As your insurance agent, we are committed to being here for you after a storm, any storm. GIA has developed a full Catastrophe plan that begins with evacuation for our employees so that once the storm has passed, regardless of the conditions, we will be available to handle claims as well as normal account activities. Based upon our Hurricane Ike evacuation experience, we will close early to help our employees avoid major traffic congestion. However, we will not close until we can no longer bind new insurance coverage or make changes due to the proximity of the hurricane. After the storm, depending on the damage, we will be taking claims from our Galveston and/or Friendswood offices. Regardless of our location, we can be contacted at our regular phone numbers. Just as during Hurricanes Ike and Harvey, we will be available for our clients to contact us before, during & after the storm. These procedures will apply to non-hurricane related catastrophes that affect our office and island as well. We are proud to be your insurance agent and we know that the time you will count on us the most will be when you have a claim. 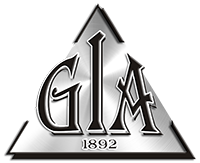 At GIA, we have worked hard to be here for you, before and after the storm!